It is a fact of life that people come and go. There’s that moment in our lives when we need to transfer due to certain unavoidable situations. For parents, your children’s education is at stake when you are moving. Schools will ask proper documentation from the parent why you are moving. 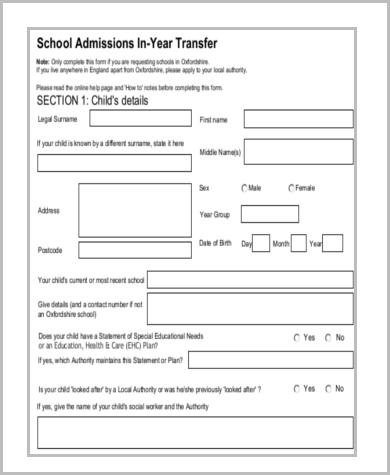 A transfer form will be issued from the school registrar, which allows your children to transfer and which also outlines the reasons of transfer. 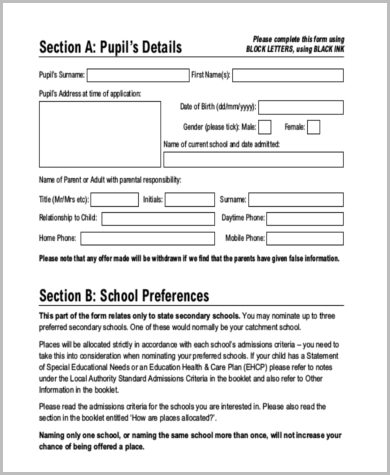 Browse our Transfer Forms to have a good idea of what these would look like. 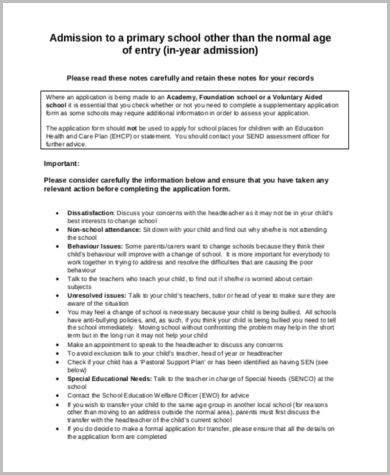 They are not only applicable to students but also for teachers who wish to be transferred to a nearby district, or for business matters as well. 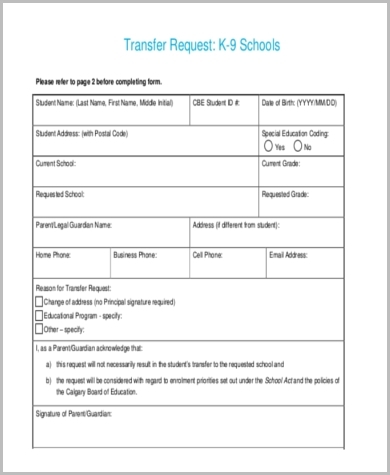 If you are a student and want to transfer school before the end of the school term, browse these Student Transfer Forms available in MS Doc and PDF file format. 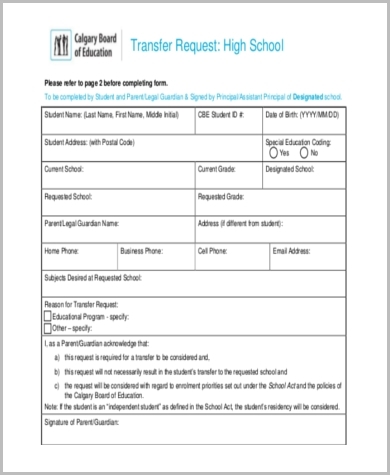 These outlined school transfer forms will guide you with the necessary requisites, and you may use this form as a reference guide upon your application for transfer to another school. The School guidance counselor will conduct an exit interview together with the parent and student regarding their decision to transfer. 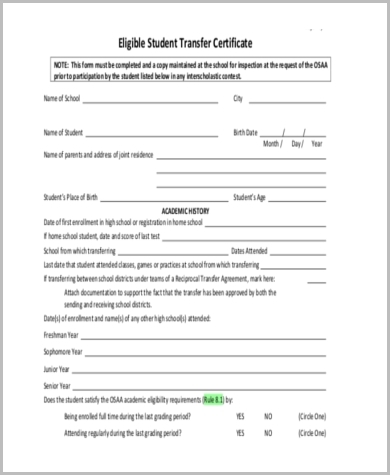 After the interview, Student Transfer Forms shall be accomplished by the guidance office indicating that the student is eligible for transfer to a different school. 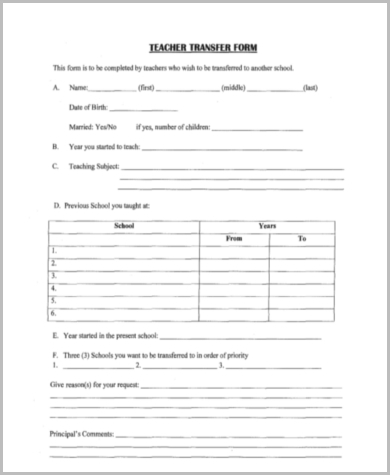 For business matters, like opting to transfer your shares, you may check our Stock Transfer Form template. Teachers are not exempted in cases of transfer. Some teachers will ask their supervisors for a transfer of location to a district closer to home for an easier and more convenient commute. A transfer form will be asked from them discussing their reasons of transfer. This is a standard procedure in the transferring of teachers. 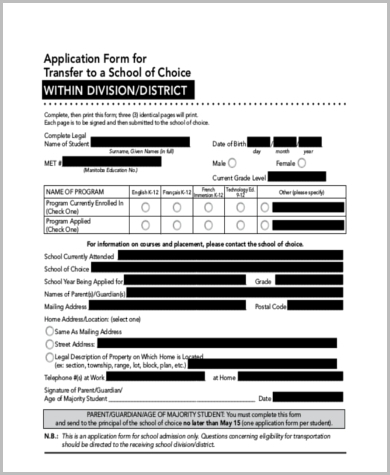 It’s imperative for teachers to accomplish such forms for them to transfer to their district of preference. 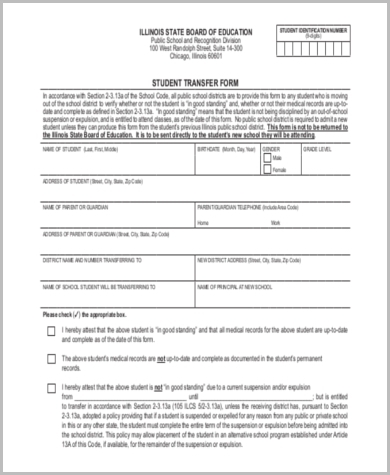 These forms are not only for the transfer of teachers, but also for instructional coaches, guidance counselors, library and media specialists, district medical practitioners, and circular court judges as well. In business matters, if you wish to transfer your shares of stocks in the stock market, standard Stock Transfer Forms are what you need. These contain in a standard format the details of both the seller and the buyer of stocks and the number of shares to be transferred. Download this template as it comes in MS Doc and PDF file formats.